With Thanksgiving and Christmas behind us, it’s time for us to get up and move our bodies. Watch this video to figure out why. Many of the diagnoses I treat in my profession as a physical therapist are preventable. Sometimes all it takes is moving your body. 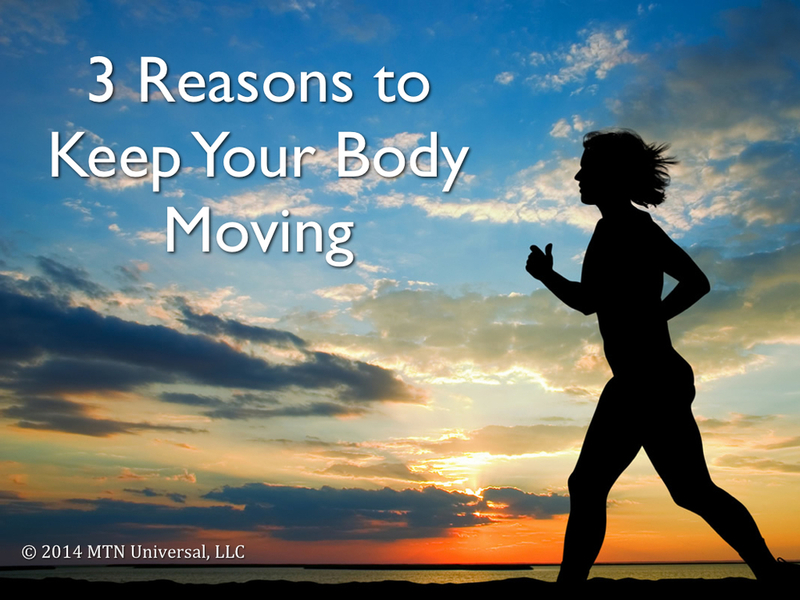 There are 3 reasons to keep your body moving. Not only would I like to provide 3 reasons to keep your body moving, but I also would like to share 10 ways of keeping your body moving before, during, and after work. There are many other ways of giving your body the activity it desperately needs. At the end of the day, it is all about doing something you love and consistent doing that activity. You don't have to make a New Year's Resolution to do this, you can start now and get someone else involved that will hold you accountable. Share this information with them and start your fun journey of adding years back to your life. Question: What are some other ways to avoid excessive sitting? Leave your comments below.